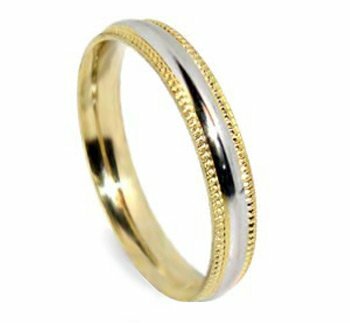 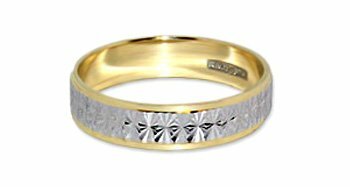 A powerful statement of your enduring, unbroken love, this ornate Celtic-inspired wedding band features two tones of of 14 karat yellow gold. 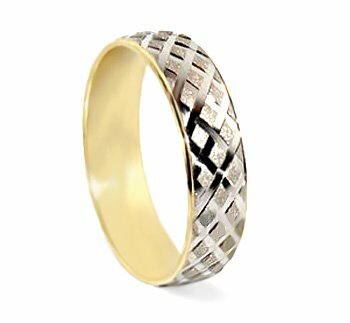 The seemingly continuous, interlocking Celtic weave has a bright polish that shines against a slightly muted gold background. 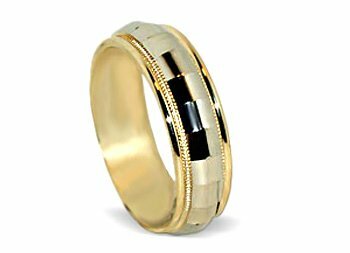 It is framed by two thin borders of yellow gold. 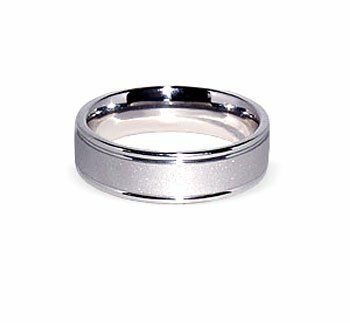 The band is 6 mm wide (or about 1/4 of an inch) and has a flat, slightly rounded edge. 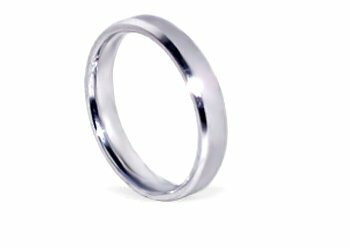 The polished interior feels seductively smooth against your finger. 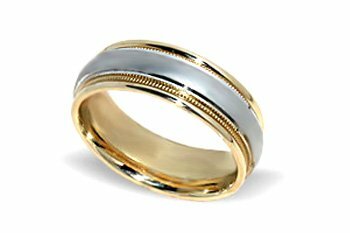 It weighs substantially on your finger, but not overly heavy. 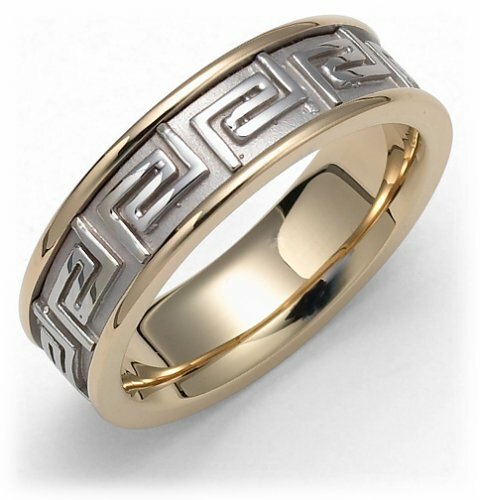 With a long heritage of artisanship and metal work, the Celtic design tradition is as timely today as it was two thousand years ago--the intertwined ribbons signifying two intertwined lives. I chose this ring over a couple of other two-tone Celtic bands available, my love gave it to me for our handfasting.It's exactly the measurements described, but looks and feels a little bigger in-person than estimating the 6mm width with a ruler.Has a good weight, stamped inside, "Novell 14 KHANDMADE. 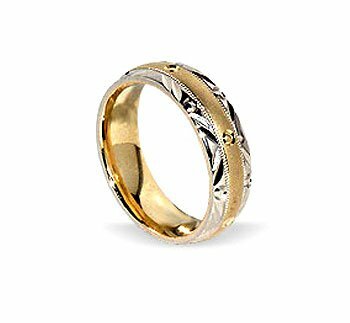 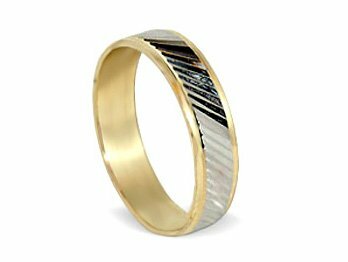 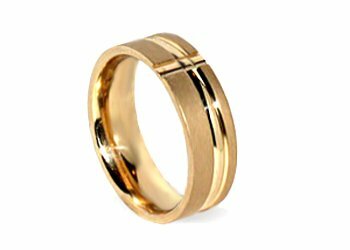 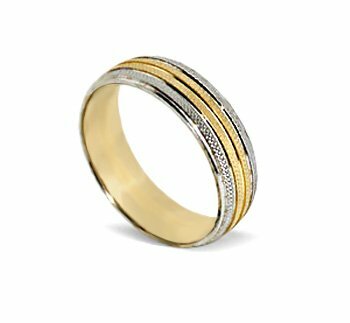 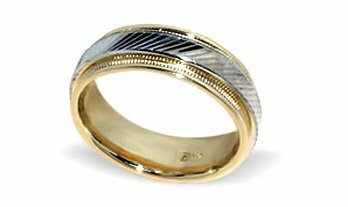 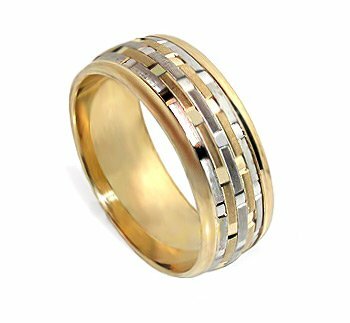 "Beyond that, it's beautiful.The yellow gold really glows against the white gold edges.A little bigger than the average "lady's ring," it could work for a lady or a gent. 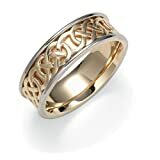 A Classic Celtic Eternal Knot Band.